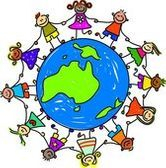 We have been establishing support group meetings across Australia so that adults, parents, and kids can meet each other face-to-face to share experiences and gain support. If no link is available for your state and you would like to attend or host a support group meeting in your local area please Contact Us. Hosting a support group meeting may be one of the most rewarding experiences you’ll have. In addition to sharing valuable information, support groups help people connect with others experiencing similar situations. ausEE Inc. is here to help you get started - please read our Support Group Guidelines for more information. As more support groups are established we will update the listed information for each state. Please email us about your support group to be added to this section. Our ausEE Members are invited to join an additional Facebook group started by one of our members for those living in NZ. If you live in New Zealand and are interested in attending a support group meeting, please contact the locally run NZ Support Organisation by email for details. The New Zealand Support Groups are in alliance with ausEE for the shared purpose of providing support and information, they do not form part of the governing body nor are they funded in any way by ausEE Inc.